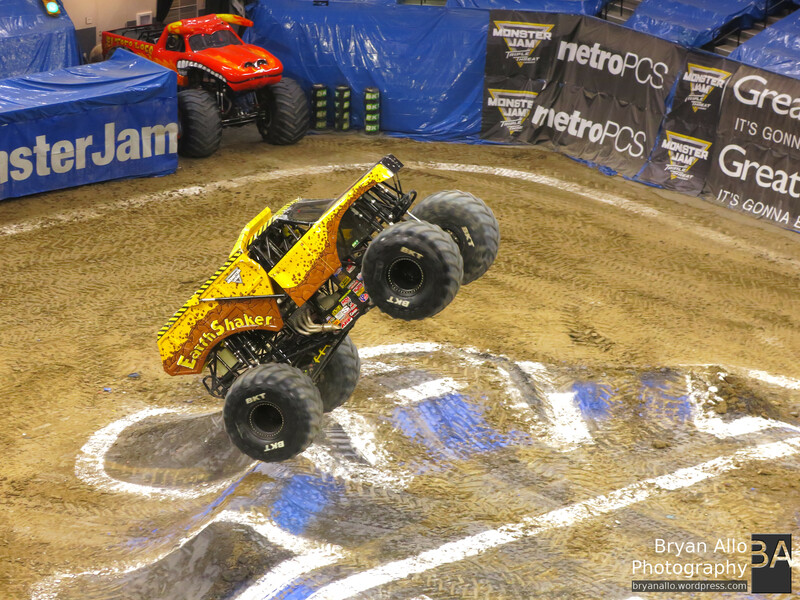 Earth Shaker – Monster Jam freestyle competition. Few things are as quintessentially American as Monster Trucks. While I have always seen video, photos and all manner of media featuring Monster Trucks, up until this past weekend, I had never witnessed a Monster Truck show in person. I got to see the Monster Jam show at the Golden1 Center downtown. It did not disappoint. Photos cannot convey the powerful sensory experience – even more-so as an Engineer and Artist, I found every last detail of the performance extremely impressive from a technical, engineering, artistic and athletic perspective all at once. Earth Shaker in his penultimate freestyle act. The forces at play in these Monster vehicles are tremendous, yet they make the most outlandish of feats look effortless. The stresses on both vehicle and driver are constantly riding a fine line between complete self destruction and a well choreographed ballet. The more skilled the driver, the tighter they ride that line. One driver/athlete in particular stood out or a field of very talented, young and capable individuals – Earth Shaker. I watched him clutch, power and brake his way through wheelies, jumps, and stoppies one demand. No one else came close to his level of mastery of these machine. It was a real treat. Earth Shaker in his penultimate freestyle act, drove his Monster Truck on both front wheels. It was amazing, terrifying, and hilarious all at once. What a treat. What camera did I use. Well, since this was my first time experiencing it, I thought I should just kick back, focus on the show, take it all in and perhaps get a better sense for the subjects from a photography perspective so I may return next time around and give it a proper photographic treatment. My compromise this time was my advanced point-and-shoot – the Canon G15. I had not taken it out in over a year. Surprisingly the battery still had a full charge which was impressive in itself. The wide aperture f/1.8 zoom lens really helped keep a fast shutter under the artificial low light situations. Shutter lag and AF were of course a problem as would be the case with any point-and-shoot. I did however manage to compensate for the lag most of the time. The OVF was a huge help while tracking fast moving subjects. Being able to shoot RAW was also a huge bonus. The resulting images came out much better than I expected. I shot Manual Mode at 1/100s to preserve some wheel spin motion but still freeze the vehicles as I tracked them. ISO ranged from 400-800. 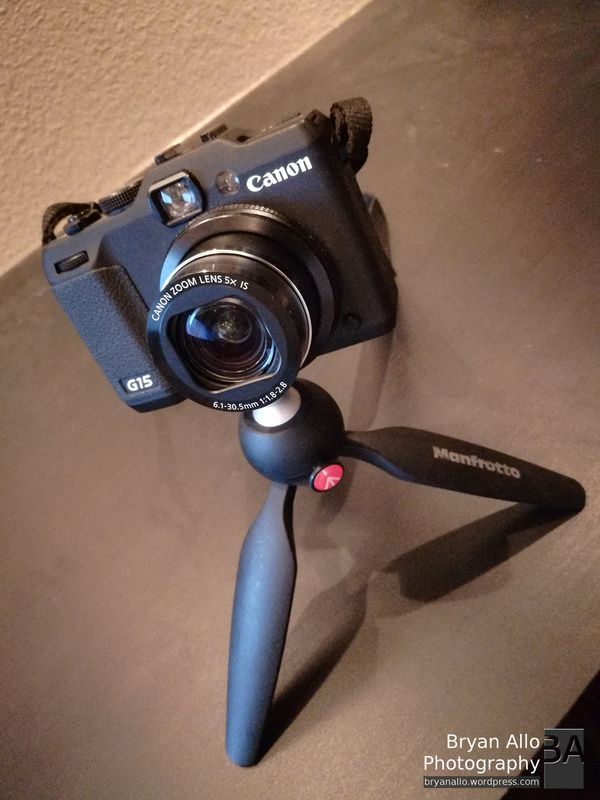 What a little gem of a camera. 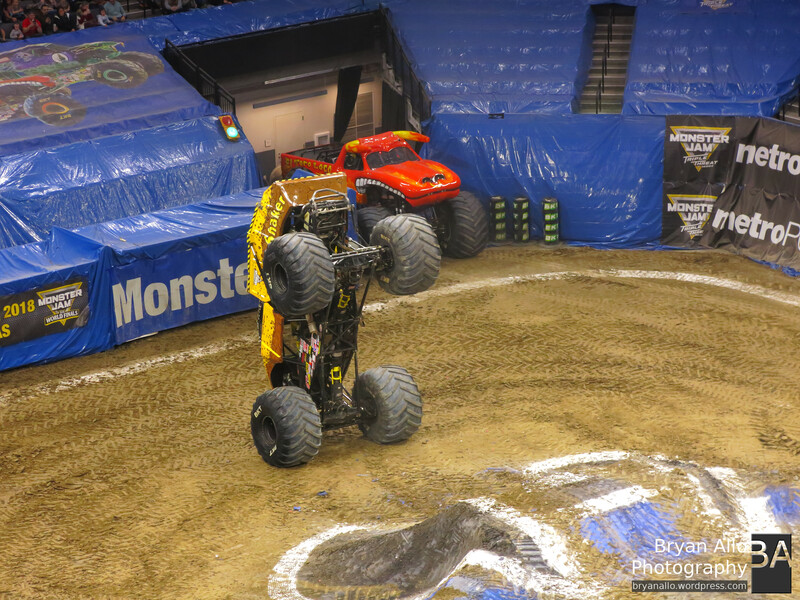 I definitely look forward to covering the next Monster Jam with my 7D Mark II and 5DsR. Below are some highlights from the show. I hope you enjoy them. Have you ever been to a Monster Truck show. Share your thoughts.